Some lucky people are staying home from work, everyone is remembering another instance where indigenous people suffered, families are eagerly awaiting a new coloring page to color together – that’s right, it’s another Monday-observed holiday, but this one is wonderful! Columbo Day is when families gather around their televisions to marathon-watch episodes ofColumbo on Netflix, YouTube, or from your personal collection of the complete ColumboDVDs! 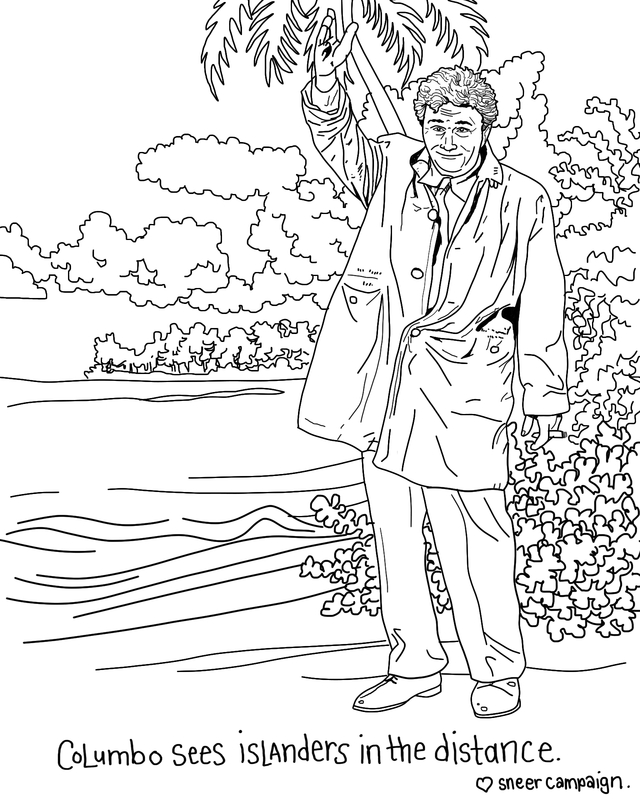 We are slowly introducing the newest tradition over the next twenty-four years: the Columbo Discovers America coloring book, one page released per year. This is the third, highly anticipated page.